Like the original fab four The Mersey Beatles were born and bred in Liverpool. Their early performances were in the same social & cabaret clubs the fab four played at all those years ago. They continued to follow in those famous footsteps by becoming the Cavern club's resident Beatles tribute band. 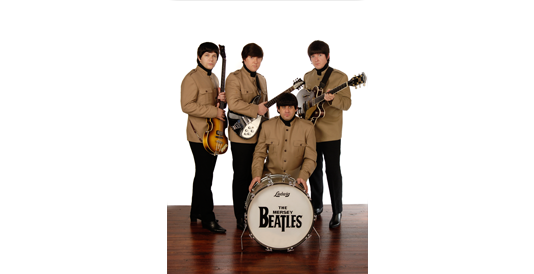 Chosen from hundreds of Beatles tribute bands by Cavern city tours. It's a status they've held proudly since 2001. 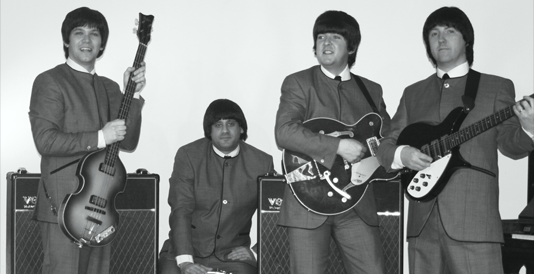 As first choice tribute for Liverpool attractions such as Beatles story museum, Hard days night hotel as well as Liverpool city council, & having headlined the Beatles Convention in Liverpool six years running, The Mersey Beatles can truly be called Liverpool's no 1 Beatles tribute band. The boys have also played live sets at famous Beatles haunts such as Abbey road studios & Reeperbahn Hamburg. The Mersey Beatles regularly headline Beatles & other music festivals around the globe & have played in over 20 different countries world wide. As part of the inaugural Australian Beatles festival they played at the centennial hall in Adelaide. At the time it was the only place left standing in Australia that the Beatles played at. Unfortunately It was demolished in 2008. 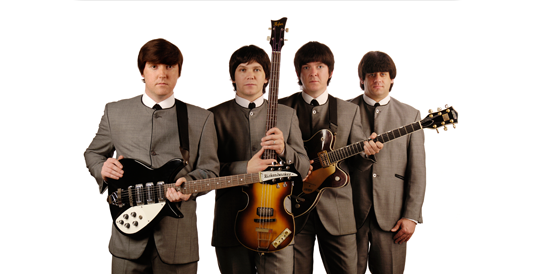 Annual tours of Countries across Europe & beyond have gained the band an international reputation As one of the worlds premier Beatles tribute bands. "There are many Beatles tribute bands from all over the world & I've seen them all but The Mersey Beatles are the best I've heard" - Julia Byrd, Telfords warehouse live music venue, Chester, 2008.